The latest from Grasstowne, The Other Side Of Towne, is now available for download to DJs everywhere. In addition, physical copies will be in the mail early next week. Radio DJs are invited to go to the radio download page at www.pinecastle.com. 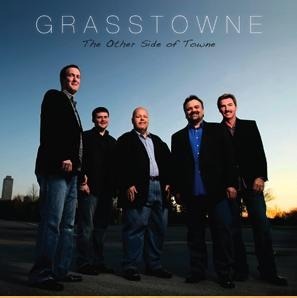 You can check out Grasstowne’s new hit single from the The Other Side Of Towne by going to the Pinecastle Website. The Road Headin’ Home will become available for download on all digital downloads sites such as iTunes, Rhapsody, Napster, and Amazon on 8th September. The CD itself will be available the week after IBMA World Of Bluegrass on 6th October.